On Washington College Week: Women’s political participation is on the rise. Melissa Deckman, professor of political science at Washington College, discusses how younger generations are changing gender norms in politics. ​​Professor Deckman’s areas of specialty include religion and politics, women and politics, and state and local politics. Her latest book is Tea Party Women: Mama Grizzlies, Grassroots Leaders, and the Changing Face of the American Right (May 2016: NYU Press) The updated third edition of her best-selling textbook, Women and Politics, written with Julie Dolan and Michele Swers, and which analyzes the 2016 presidential election, is now available through Rowman & Littlefield. In addition to more than a dozen scholarly articles, she is the author of School Board Battles: the Christian Right in Local Politics (Georgetown University Press 2004), which examines the impact of the Christian Right on school board elections, and which won the 2007 Hubert Morken Award, given by the American Political Science Association biennially to the best work on religion and politics. Along with Laura Olson and Sue Crawford, she is the co-author of Women with a Mission: Gender, Religion, and the Politics of Women Clergy (University of Alabama Press 2005). She is also the editor, along with WAC’s Joseph Prud’homme, of Curriculum and the Culture War: When and Where is the Bible Appropriate in Public Schools? (Peter Lang Press, 2014). 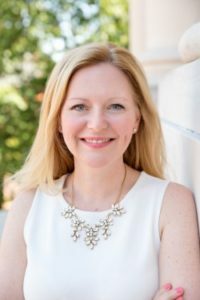 She appears frequently as a guest for a variety of public affairs programs on public radio and television to discuss Maryland politics and she has been cited in numerous media settings, including in the New York Times, Wall Street Journal, Cosmopolitan, The Atlantic, the Baltimore Sun, Pundifact and the Christian Science Monitor. Her commentary on women, religion and politics in recent campaigns has appeared in the Washington Post, Presidential Gender Watch Blog, Huffington Post and the Brookings Fix-Gov blog, among other outlets. Politics has traditionally been viewed as man’s game in the United States. While women turn out to vote at slightly higher rates than men, they lag behind in most other forms of political participation. Studies show that women have consistently been far less likely to report trying to influence another person’s vote choice, volunteering for political campaigns, and making political donations than men. Women are also far less likely to run for political office and more generally express less interest in politics overall. However, this pattern could be changing among both millennials and the next cohort of young Americans, defined as those individuals born after 2000. A new poll sponsored by the Public Religion Research Institute and MTV interviewed more than 2,000 Americans aged 15-24 in the summer of 2017. It found that young women expressed higher levels of political and civic engagement than young men. For example, young women are more likely than young men to report following a campaign or organization online, posting on social media, volunteering, donating money, or attending a rally. Among seven different possible forms of political or social engagement, I find, on average, that young women engage in two-and-a-half such activities compared with just two activities, on average, among young men. These results may likely be in response to political protest movements that have emphasized women’s rights in the past year, particularly in wake of Donald Trump’s presidency. For instance, the young women who engaged in the most political activity by far identify as Democrats, supported Hillary Clinton in the 2016 presidential race, and say that gender equality is a critical issue to them. Whether these patterns represent a new, persistent change with respect to gender and political activism is uncertain, but if they do, perhaps the political activism of younger women will translate into a greater willingness to seek political office in the long term.